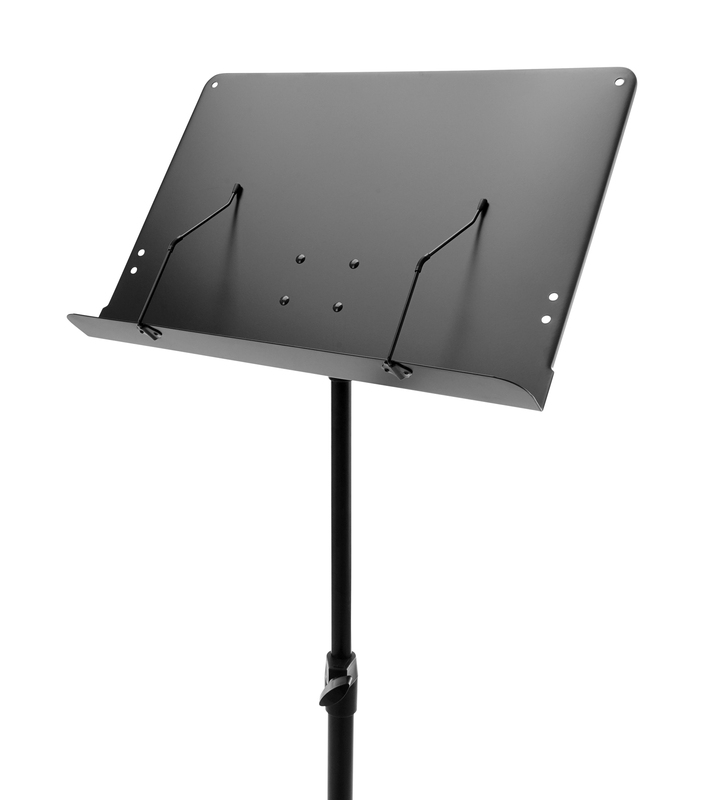 This Pronomic orchestra music stand should be your top choice if you want a perfect hold for your music under even the most difficult circumstances. Its sturdy tubular steel construction, a removable music rest and spring-loaded music clips offer the best performance at an unbeatable price! The 3.1 kg heavy steel tube stand is optimal for professional work: it's not too heavy and the non-slip rubber feet, as well as the 7/8 "and 9/8" tubes, provide the foundation for a very stable stand. 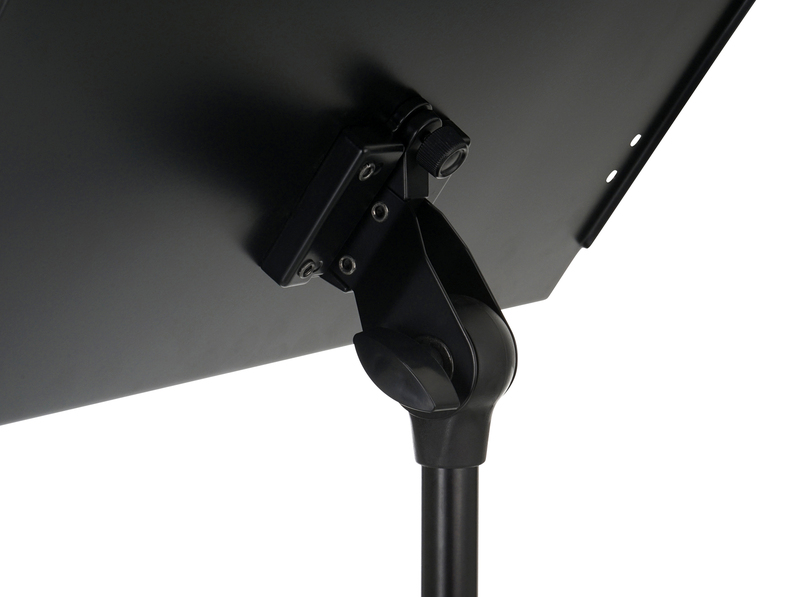 Strong block clamps with large, handy thumbscrews keep the stand securely in place. 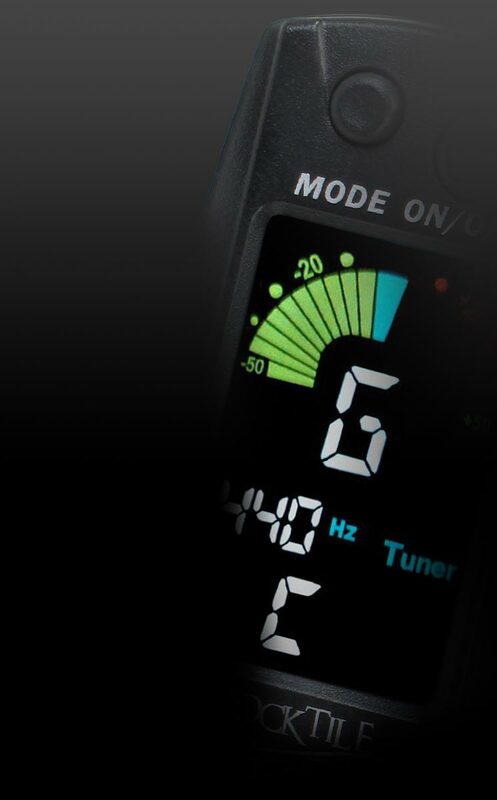 For increased stability, the 1 mm thick music rest is also beveled. On the 52 mm deep music rest even large folders have enough space, the two spring-mounted music clips prevent inadvertent page flipping. Of course, the two clips can be folded away when not in use or completely removed. The closed music rest does not let light shine through the music from behind, which greatly improves the readability of sheet music. 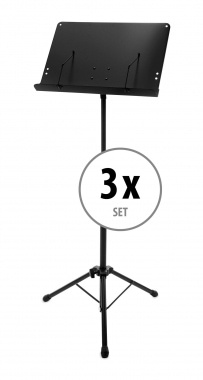 The height of the music stand adjustable from 66 cm to 120 cm (from the lower edge of music rest). 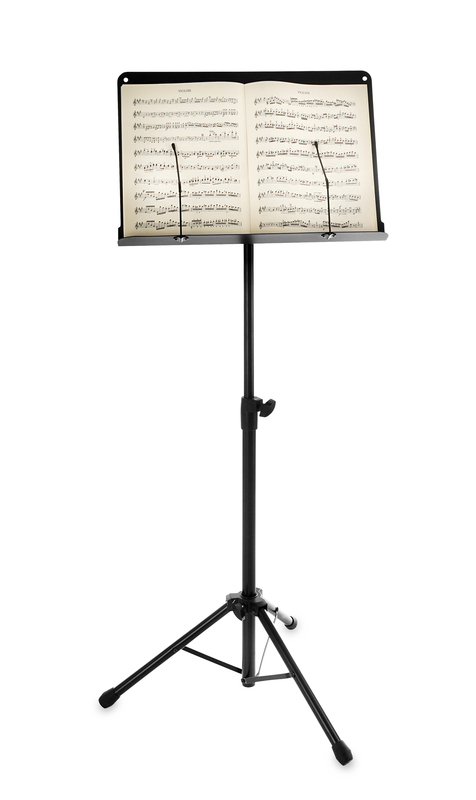 The 48.5 cm wide and 33.2 cm high music rest offers enough space for whole scores and can be adjusted to any angle. 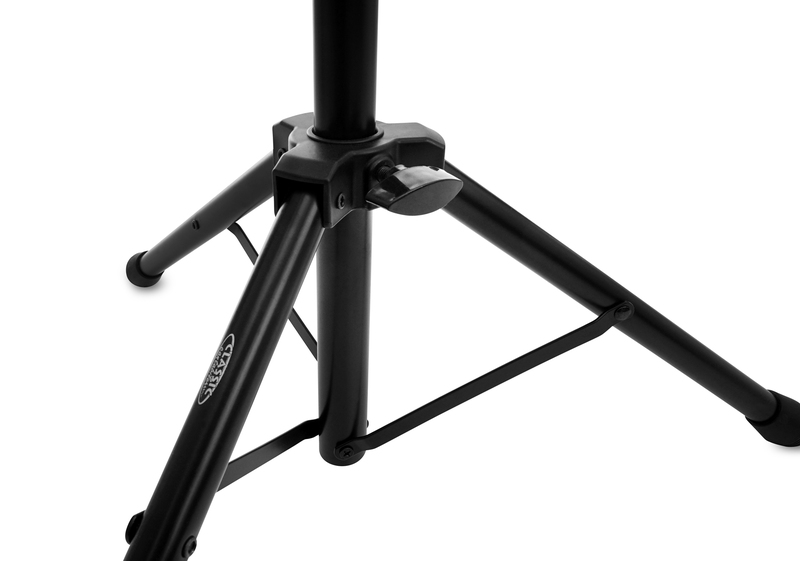 Through the prism mechanics, which connects the support to the base, the stand is quickly folded up, making it easy to transport and store. Clear design, secure stand and high-quality workmanship at a bargain price!